A Heartfelt Tribute to Seymour Papert | Children's Technology Review: "Papert’s ideas are not so much controversial as they are ignored by the education technology “community.” Papert was bad for business, If you’re a school system hell-bent on compliance or standardization, a message of student agency, creativity, and intellectual freedom threatens the status quo. When kids build, maintain, and program the software for their own personal computer, fewer gadgets and apps will be purchased. Such views are a menace to a profit-centric edtech industry and an education system Papert described as idea averse." 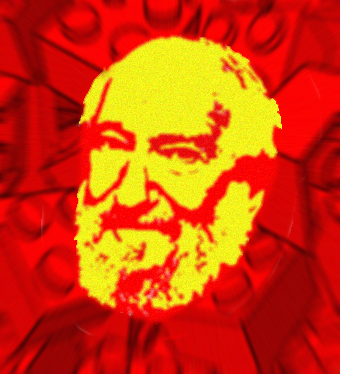 Seymour Papert passed away this week aged 88. His efforts to reform education through advancing social-constructivist theory will be perhaps one of his most important legacies. Papert has been widely acknowledged for developing the theory of constructionism. He saw learning as an active process that involved not only social interaction, but also constructing artefacts. Learning by making became an important component of learning in the digital age, and has been used as an explanation of the rise in user generated content. He also encouraged meta-cognition as an important pedagogical method. In his own words: "You cannot think about thinking, without thinking about thinking about something." That 'something' was clearly the object that could be created through thinking about thinking, about problems, about knowledge. His work around the early computer programming language LOGO was also ground breaking - introducing an entire generation of learners to the idea that coding could cause direct action with objects and space. The ability to command a floor robot to do one's bidding added a new level of engagement to maths and science lessons. Seymour Papert understood that fundamentally, people learn because they are interested - and that engagement with a problem, construction of an object or exploration of a space was essential for deeper forms of learning. On video games: "Every maker of video games knows something that the makers of curriculum don't seem to understand. You'll never see a video game being advertised as being easy. Kids who do not like school will tell you it's not because it's too hard. It's because it's boring." On student centred learning: "I am convinced that the best learning takes place when the learner takes charge." On the role of teachers: "The role of the teacher is to create the conditions for invention rather than provide ready made knowledge." On transferable skills: "We need to produce people who know how to act when they are faced with situations for which they were not specifically prepared." On the purpose of education: "The principal goal of education in schools should be creating men and women who are capable of doing new things, not simply repeating what other generations have done." Papert - in his own words by Steve Wheeler was written in Plymouth, England and is licensed under a Creative Commons Attribution-NonCommercial-ShareAlike 3.0 Unported License.